New Zealand have named big-hitter Tom Bruce and allrounder Ben Wheeler in their 14-player squad for the upcoming T20s against Bangladesh. Allrounder Corey Anderson, who has been plagued by a back injury for the major part of this year, has been picked as a batsman. Fast bowler Trent Boult was picked but will be rested for the first of the three T20s. Fellow quick Tim Southee has been rested for the entire series in preparation for the two Tests that follow. Ross Taylor, who had had surgery to remove a benign growth in his left eye after the Hamilton Test against Pakistan in late November, has not been picked for this series, but will return to domestic T20 cricket "within the next few days", according to selector Gavin Larsen. Anderson had played in the World T20 in March, before the back injury ruled him out of the tours of Zimbabwe and South Africa. He then returned for the five-match ODI series in India in October, where he was also picked as just a batsman. He managed only 31 runs in four games there, and tried his hand at bowling in the final match - he sent down four overs, conceding 27 runs, for no wicket. Subsequently he was left out of the Chappell-Hadlee ODIs in Australia, which Taylor had also missed due to his surgery. 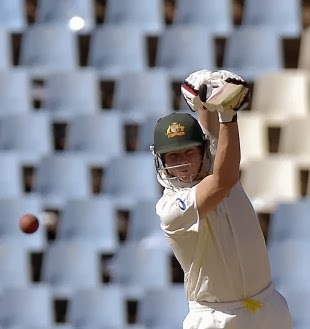 Larsen said uncapped Central Districts batsmen Bruce would boost the squad's hitting power. "Tom has been one of the leading players in the Super Smash [the domestic T20 competition] the past two years and is one of the cleanest strikers of a cricket ball in the country. He has averaged 76 at a strike-rate of 174 so far this season, so Tom has proven himself to be a very dangerous player," he said. "Power is a critical element to Twenty20 cricket, so to have him alongside the likes of Martin [Guptill], Corey and the two Colins [Munro and de Grandhomme] is an exciting prospect." Left-arm-pace-bowling allrounder Wheeler, also from Central Districts, had played six ODIs between June and August 2015, but is yet to play a T20 international. He has not contributed much with the bat in the Super Smash so far this season, but has six wickets from five games at 27.16. "Ben has put in a lot of hard work to get to this point again, so we're looking forward to having him back in the mix," Larsen said. "His ability to swing the ball at a decent clip can trouble any batsman, as he has shown in domestic cricket this season. "We've got some really exciting players coming through and it's important to give them opportunities and introduce them to the international stage. There are a number of players who just missed out - the likes of Mark Chapman, Neil Wagner, George Worker and Seth Rance were all seriously considered." 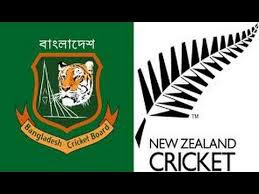 The three T20s against Bangladesh will be played from January 3 in Napier. This series is New Zealand's first T20I assignment since the World T20. 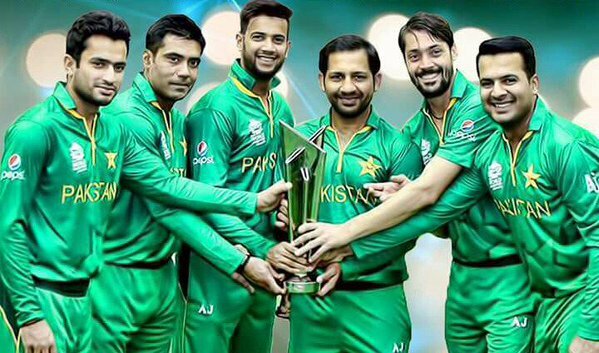 Perennially mercurial in a format that embraces the sport's unpredictability, Pakistan promise dollops of excitement in the ICC World T20 2016. They may have left their fans and selectors tearing their hair out after a lukewarm show in the Asia Cup T20, but can just as easily turn it on and go all the way to win the World Cup. That's just how they like to roll. In Shahid Afridi, the 2009 champions have a leader who despite being in the twilight of his international career, can still galvanise Pakistan's cricket. More importantly, Afridi knows what goes into winning an event like this, having famously starred in the semis and finals in their title triumph in England, in 2009. Pakistan have power, pace and panache. If they can find some pluck, they should go a long way in the tournament. Pakistan have been making news even before they landed in India for the tournament. Diplomacy, political undertones, squad changes, banter - the newspapers have been replete with stories. The marquee fixture against India has been moved from Dharamsala to Kolkata following concerns of security. On the team front, Pakistan's Khurram Manzoor experiment fell flat on its face as the opener went through a disastrous Asia Cup, paving the way for Ahmed Shehzad's return. 1. On the move - Pakistan have been travelling non stop since the turn of the year. A tour to New Zealand in January was followed by the inaugural edition of the PSL in the UAE. The team flew to Bangladesh for the Asia Cup and now will be away for a third straight month. Workload management will become a factor for Pakistan especially if they make a deep run in the tournament. 2. Off the field action - The dialogue between India and Pakistan and the ensuing uncertainty surrounding their participation in the tournament cannot have been easy on Pakistan's players, who now have the onerous task of hitting the ground running. They play their first warm-up game a day after they land in India and will need to get acclimatised to conditions quickly. 3. Strengths - 'Pace is pace yaar' - Fast bowling has traditionally been Pakistan's big strength. The 2016 WT20 is no different. In Mohammad Amir, Wahab Riaz, Mohammad Irfan and Mohammad Sami - they have, arguably, the most potent pace-bowling attack in the tournament. On the flip side, this also poses significant selection issues for the captain. To play a right combination of these bowlers. But it's a headache they'd gladly bear. 4. Weakness - Pakistan's top-order woes have been well-documented. Sharjeel Khan scored a hundred in the PSL last month but has since found his batting bereft of timing. Mohammad Hafeez and Ahmed Shehzad will need to contribute significantly at the top if the team has to post significant totals on batting-friendly wickets in India. The explosive Umar Akmal will once again hold the key to Pakistan's batting from the middle order. 5. Form - Pakistan enter the World Cup on a patchy run of T20 form in 2016. They won their opening game against New Zealand in Auckland but slipped to successive defeats to lose the series before folding tamely in the Asia Cup. A victory over beleaguered Sri Lanka in a dead-rubber game in Mirpur might give them just the right kind of confidence boost they'd dearly wanted. 1. Shahid Afridi - Pakistan's skipper created quite a stir by claiming he was planning on reconsidering his retirement. The 36-year-old, who had originally stated that the World T20 in 2016 would be his last international assignment, has been going through a rather lean patch with the bat and has courted considerable criticism for it, with a section of the media asking for his removal as Pakistan captain after the Asia Cup exit. Afridi, though, retains the faith of the board, at least for the World Cup, and the enormity of the event could just about stroke his competitive edge to life one final time. 2. Mohammad Amir - Amir's return following a five-year suspension for indulging in spot-fixing has been one of the most protracted debates of 2016. There have been literally no debates about his prodigious skill with the ball, with the exception of a certain Rohit Sharma, who wishes to wait on his judgement. A world stage would be the ideal platform for the youngster to light up and attempt to put to rest any lingering doubts of his presence. "I feel they will do well. The team Pakistan has selected has in-form players and I feel it has become even better after a few late changes. The players will enter these tournaments on the back of the PSL experience, which will surely help them." - Test skipper Misbah-ul-Haq sees Pakistan overcome a slump in form to enjoy a good tournament. Pakistan, being Pakistan can upset the apple-cart and can go all the way in the tournament but in Group 2, they find themselves having to play India, Australia, New Zealand and potentially Bangladesh, who boast significantly more rounded sides. If Afridi's men don't sort their batting out soon, they'll find themselves missing out on a semi-final berth for only the second time in World T20s. The Sheffield Shield final may be held at Manuka Oval in Canberra or Gliderol Stadium in Glenelg after both New South Wales and South Australia were forced to find alternatives to their main venues. The last round of matches begins on Tuesday and will determine the finalists, with South Australia, New South Wales and Western Australia all equal on 26 points at the top of the table and Queensland also in contention on 22 points. South Australia had already advised that if they were to host the final it would be held in Glenelg instead of at Adelaide Oval due to a Rolling Stones concert, and New South Wales have also had to come up with another plan. The SCG will be in use for Major League Baseball matches between the Los Angeles Dodgers and the Arizona Diamondbacks, and Cricket New South Wales has nominated Manuka Oval as its final venue. The Blues will play Western Australia at Manuka Oval in the final round in a match that will go a long way to determining the make-up of the final, although South Australia's match in Hobart against Tasmania will also be important. Last year's runners-up, Queensland, could also catapult themselves into the decider if they beat Victoria at the MCG. All three of the top sides will benefit from the return of Test players from the tour of South Africa, with Steven Smith to captain New South Wales, who also gain Nathan Lyon. Shaun Marsh is likely to rejoin the Western Australia outfit, perhaps as a replacement for his brother Mitchell, who suffered a side strain in last week's match. Phillip Hughes will make his return for South Australia but the Redbacks will be without their captain Johan Botha, who was suspended for one match for a bizarre incident in last week's match against New South Wales. Botha was believed to have called for the new ball during the New South Wales innings and then rubbed the old ball on his boot spikes before throwing it off the ground. Cricket Australia remains confident that a day-night Test against New Zealand in November 2015 will be feasible despite mixed reviews from players and coaches after a trial in last week's Sheffield Shield matches. Pink balls were used in games at the Gabba, Adelaide Oval and the MCG and while some positive feedback was received from players and fans, others voiced concerns over visibility and the quality of the balls. 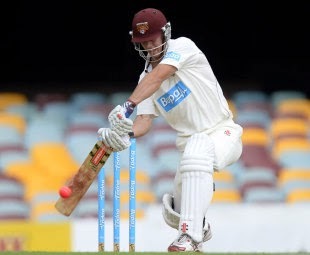 Queensland batsman Chris Lynn said he struggled to see the white seam on the pink ball, which made it hard to pick swing and spin from the bowler's hand, and Victoria's captain Matthew Wade said he could not see day-night Test cricket happening quickly. The Victoria coach Greg Shipperd said from the rooms he found the ball difficult to see and it went too soft too soon, and the pink colour could scrape off the surface of the ball, leaving dark patches. But Cricket Australia's general manager of cricket operations, Sean Cary, said he was confident that further work on developing the pink ball would allow Australia to host New Zealand for a historic day-night Test in 2015-16. He said Cricket Australia staff had surveyed fans at all three venues and found that there were some visibility issues at the Gabba, but the Adelaide Oval and MCG had been more successful. "The fans were really excited in both Adelaide and Melbourne," Cary told ABC Grandstand on Saturday. "We had some mixed views from the Gabba. I'm not sure if the lighting at the Gabba is slightly different to Adelaide Oval and the MCG. Some of the fans, and I was one of those on one of the nights up there, actually found it a bit more difficult to pick the ball up from the stands. But from the MCG and Adelaide Oval the pink ball shone out beautifully. "The fact that we had two matches go pretty much to the death-knock with very exciting finishes, batsmen scoring centuries, spinners taking wickets and fast bowlers taking wickets, we believe we created a balanced approach … we certainly had balls wearing differently across the three venues and pleasingly none of the balls fell apart." Adelaide Oval looms as the most likely venue for the inaugural day-night Test, with the MCG and SCG not considered due to their traditional Boxing Day and New Year's matches, while the WACA would be unlikely given it is already in a time-zone that suits the broadcasters for eastern states prime time viewing. Hobart is another option and Cary said further trials next summer would include a match at Bellerive Oval. "We'll have feedback for Kookaburra and hopefully they can continue to work on that pink ball and by November 2015 we should have a product that's ready for international cricket," he said. "We're certainly working towards that. Our friends across the ditch in New Zealand are very keen for every opportunity to create a day-night Test match. "We'll have another opportunity in the summer of 2014-15 to continue the trial. Hopefully we'll be able to schedule it in the early rounds, in November, which is when Australia is scheduled to play New Zealand in the 2015 three-Test match series. "I think our next step would be to try and get a day-night Shield match down in Hobart to see how that goes, and look at the Gabba and Adelaide Oval again ... Having just been to the three venues, I really found it a pleasant experience at both the MCG and Adelaide Oval. "It was difficult to pick the pink ball up in Brisbane, it actually looked a little bit more orange than it did pink in Brisbane. So at this stage Adelaide Oval would be a great venue, but there's so many different factors that have to pass under the bridge before we decide which ground it could be held at." Nepal captain Paras Khadka strode into the press conference room at a Dhaka hotel impressively. He stressed how Nepal have been working for more than a decade to get to this level, and not just to play in this edition of the World T20. They are among six teams to have made it to the first round of the World T20 from the Qualifier tournament held in the UAE last November. "I think we are here to present Nepal cricket in front of the whole world," Khadka said. "It is a great opportunity for us. It is not like we have only qualified for this tournament and worked for three months. We have been playing for 10-12 years with hard work and playing continuous cricket. We are here to compete and play to the best of our ability. If we play to our potential, things should be good for us." Khadka said that Nepal's participation in the tournament will boost cricket in the country, as the government has already taken interest. "I think we have been playing cricket since 1996. We have been part of the ACC (Asian Cricket Council) since then. CAN (Cricket Association of Nepal) is one of the oldest sporting associations back home. We are getting there. "Football and cricket are the two most popular sports. Everybody follows us. Kids love the game. The game is really growing big time. It is very exciting. We have an amazing fan following back home. The number of cricket fans that we have matches any Test-playing country. "For most people, Nepal came as a huge surprise to be playing at this level. This will be a breakthrough for the country itself. Once we qualified for the World Cup, the government is very keen to find out how to develop cricket further. I hope we can move forward from here." Nepal shot to fame in the 2006 Under-19 World Cup in Sri Lanka where they became Plate champions, and Khadka said the senior team is now following up on the younger batch's impressive showing in that tournament over the years. "There was always the criticism that we only do well at the U-19 level. But the national team is doing well in the last two years. You need the junior structure as well. What we need is a basic structure back home." After Khadka, Rahul Vishwakarma said how he, like all his team-mates, had aspired to reach this stage since childhood. He met one of his heroes, Shakib Al Hasan, but didn't get a chance to talk to him. Like Shakib, he is a left-arm spinner and left-hand batsman and doesn't lack the confidence too. Today ICC Announced T20 World Cup 2014 Schedule with Warm-up Match Timetable. Latest ICC T20 World Cup 2014 Matches Schedule, Fixtures, Match Timetable and timing. A full amount of 51 matches are to be amuse yourself all through the 2014 T20 World Cup as well as 16 warm-up matches, 32 group matches, 2 semis and contest. ICC has stated T20 World Cup 2014 diary and fixtures, dates according to the FTP of Cricket which is positioned to take place in Bangladesh from 16 March to 6 April, 2014 in four chief urban areas fit in Mirpur, Chittagong, Sylhet and Cox’s Bazar. All participate Nation’s cricket board have make known their opening 30 men crew for the occurrence. The first round of the happening will take in eight side that will be alienated into two group of four team each, with the table-toppers succeeding to the Super 10 phase. Pakistan meets arch-rivals India in their gap match on Friday March 21 followed by matches by means of Australia, A1 qualifier and West Indies. You can also share us your thoughts about the ICC Announced T20 World Cup 2014 Schedule with Warm-up Match Timetable on below and you can also share this ICC Announced T20 World Cup 2014 Schedule with Warm-up Match Timetable with your family and friends by clicking below to sharing button. Now below you can get the ICC Announced T20 World Cup 2014 Schedule with Warm-up Match Timetable. Here you can get the Big Bash League 1st, 2nd Semi Final Match Live Scorecard Highlights 2014 during live match of Big Bash League 1st, 2nd Semi Final Match 2014. 1st Semi Final will play sandwiched between Melb Stars and Hurricanes at Melbourne on 4th February 2014. 2nd Semi Final resolve amuse you between Sixers and Scorchers at Sydney on Feb 5, 2014. Final game will of KFC Big Bash League 2014 willpower occupy yourself on 7th of February 2014. On the additional pass 2nd semi final established now and 2nd diversion in between Sydney Sixers & Perth Scorchers squad both teams play to each other his semi final pastime at Sydney Cricket Ground Australia. All four squad are face to face on 04 and 5th February, 2014 for his large game so two champion team played in last sport while lesser are out of the association subsequently matches, Now let see what happen in this big diversion. Each license bids for the home, as well as for the worldwide players to build them play for it. The competition is growing as it has been future that more region without international cricket will partake in the antagonism. 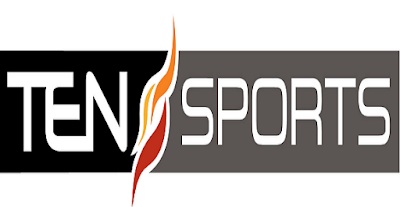 You can also share us your precious comment about the Big Bash League 1st, 2nd Semi Final Match Live Score Highlights 2014 on below comment area and now you can get the Big Bash League 1st, 2nd Semi Final Match Live Score Highlights on 2nd February 2014. 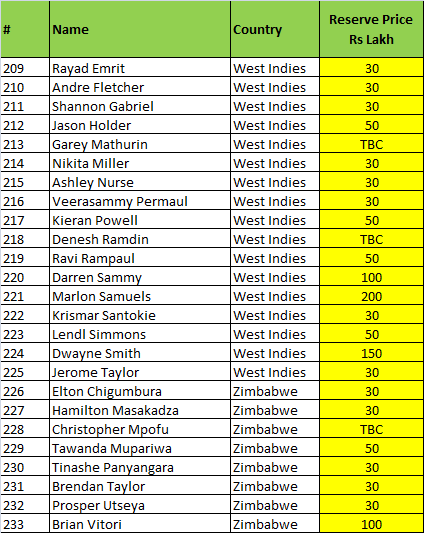 Here you can get the IPL 2014 Auctions 233 List of Capped Players with Base Price names. All IPL 2014 Auctions Capped players names price of IPL 2014 Auctions here. In the list of 233 capped players which include 46 Indians from ten country finalized by the IPL, only 31 are in the top price group. 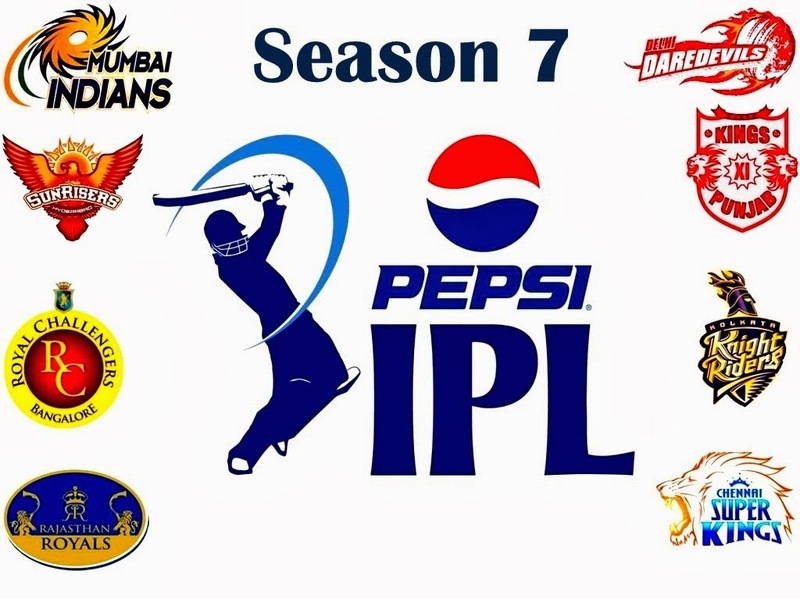 The new IPL policy lay down group of actor will be remunerated in Indian rupees. For the foreigner, it can be rehabilitated into the money of their alternative. A total of 31 players have been put beneath the maximum of Rs. 2 crore base prices. Earlier 233 players were announce as well as Pinal Shah, Baroda Wicket Keeper who haven’t feature on global stage was been incorporated by mistake.Later they rehabilitated the list remove his person’s name. Pakistan players go on to stay put out of the list, while Azhar Mahmood who at the present is an England inhabitant and Fawad Ahmad who was of late decided Australian citizenship are element of the puddle. You can also share this IPL 2014 Auctions: 233 List of Capped Players with Base Price with your family and friends by clicking below to sharing button and now below you can get the table of IPL 2014 Auctions: 233 List of Capped Players with Base Price. ICC Under-19 Cricket World Cup will be a one-day cricket competition for sixteen international U-19 cricketing teams which will be held on February 2014. This will be the tenth edition of the tournament. The event will be held in the United Arab Emirates. 16 nations will be competing with the ten test playing nations, plus 5 regional associate and affiliate qualifiers and the United Arab Emirates qualifying as hosts. The 5 regional qualifiers include: Scotland, Canada, Namibia, Afghanistan and Papua New Guinea. The teams divided into four groups and the top two would progress to the quarter-finals. Defending champions India and two-time winners Pakistan in same group. UAE will participate as the host. And 5 additional teams got qualified through the different regional tournaments. Unlike the previous world cup qualifier there was no global qualifier for this world cup; rather the winner of each 5 regional tournaments would directly get in the world cup.